The Signature Collection is a series of architecturally inspired designs that offer a dramatic home to the value-conscious customer while maintaining Yingst Homes' strict standards of quality and craftsmanship. Homes in the Signature Collection include innovative floor plans featuring three and four bedrooms, ranch style home plans, and two-story home plans with first or second floor master suites. They offer an outstanding array of standard features, plus many customizing options. All of the homes in the Signature Collection can be built in several of our outstanding developments or on the lot of your choosing. Our Signature Collection has everything you want in a custom home, at an exceptional price point. 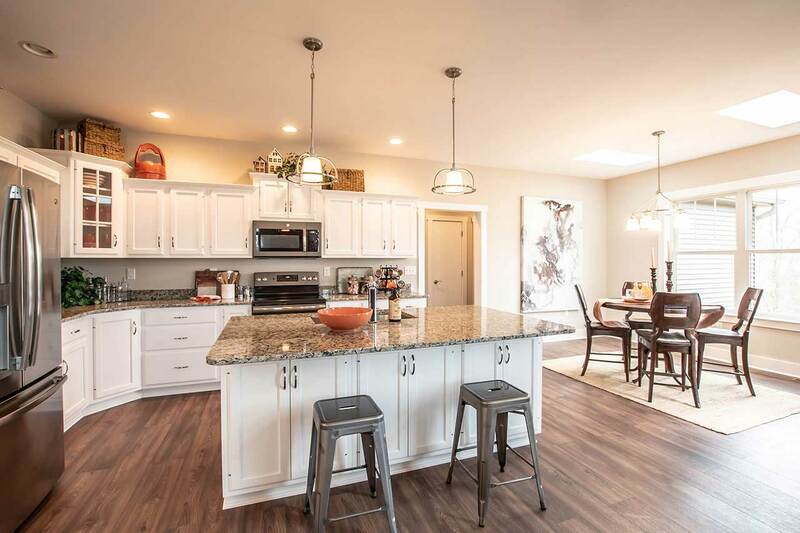 Carefully planned great rooms, family rooms, kitchen and dining areas, separate breakfast areas, spacious master suites and bedrooms are included in the various floor plans offered by Yingst Homes to provide you and your family with room to grow. 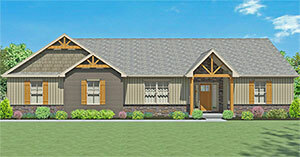 This 2,398 square foot plan features a welcoming front porch leading to a large foyer and hidden staircase. The kitchen/breakfast room features an island that is open to a family room with a gas fireplace. A corner office and an oversized garage round out the first floor plan. The second floor features an open center hall leading to the bedrooms and laundry room. The ample master bedroom and bath includes a corner soaking tub and a large walk-in closet. Bedrooms #3 & #4 also feature walk-in closets. This two-story home is sure to meet the needs of your growing active family. 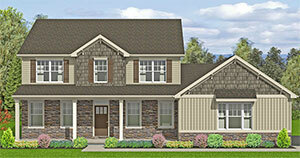 This model features one-level living with 3 bedrooms and 2-car garage. The spacious family room with a gas fireplace boasts a dramatic 11' ceiling, an adjoining breakfast area and a separate dining room. The master suite has a luxurious bath and two walk-in closets. 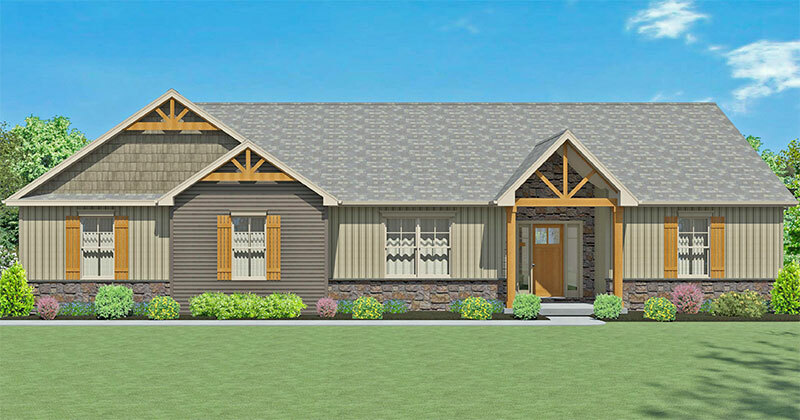 This 1,637 square foot ranch plan features a spacious open living area with a vaulted family room ceiling. The kitchen is complete with an island and a large pantry. This 3 bedroom design has a master en-suite bath and two walk-in closets. An ample laundry room and a two car garage round out this compact easy living plan. An open first floor plan provides convenience and room for activities. The second floor has four bedrooms, including a spacious master suite with a sitting area and luxurious bath. This design offers four bedrooms, including a first floor master suite, a centrally located great room with vaulted ceiling and a large kitchen/breakfast area. A spacious family room is adjacent to the cozy breakfast/hearth room and kitchen. An elegant master suite is upstairs, along with three other bedrooms. This 1,982 square foot home provides everything you'll need for gracious one-level living. It includes a formal entry, a large family room with cathedral vaulted ceiling and gas fireplace, a large custom kitchen with an island and ample dining area, a generous master bedroom with walk-in-closet and en-suite bath, plus 2 additional bedrooms and another full bath. A separate laundry room and 2-car garage round out the interior features offered with this plan. Exterior details include front and rear covered porches. This 2,646 square foot home offers four bedrooms, a first floor master suite, a 2-car garage, a covered front porch, and a rear patio. The open floor plan features one-level living at its finest. A breakfast area, featuring an island, is adjacent to the kitchen. The vaulted living room has a gas fireplace. The master suite has a deluxe bath and walk-in closet. One of the largest of our Signature Collection designs, the 3,064 square foot �Remington� beautifully combines practicality with luxury to provide the perfect family room. A two-story foyer, flanked by a formal dining room and private study, leads into a spacious family room with 12� high ceilings and gas fireplace. Adjacent and open to the family room is a large custom kitchen with walk-in pantry closet, �eat-at� island, and breakfast nook. A powder room, mud room, and laundry complete the first floor. The second floor includes the luxurious master suite with private bath and his & her walk-in-closets, 2 gracious bedrooms that share a Jack & Jill bath, and a guest bedroom with a private bath. This plan also includes a three car garage, covered front porch and rear patio. 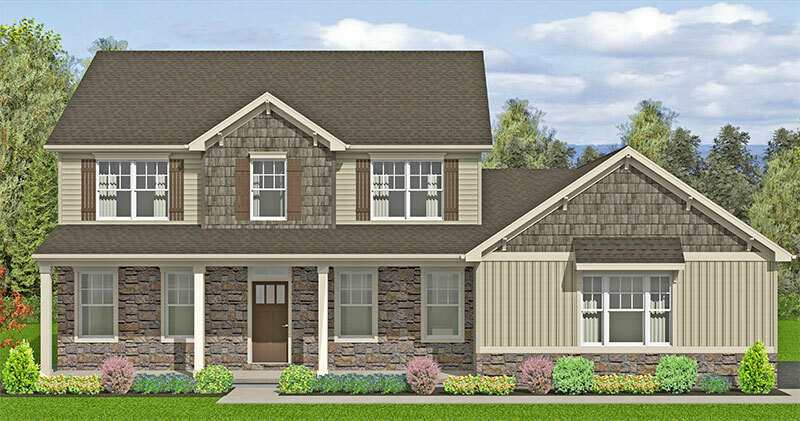 Designed to meet the needs of today's busy family, the Richmond's 2101 square foot plan includes a kitchen with island and breakfast area, a generous family room, a formal dining room, and a private office. The second floor includes a gracious master suite, plus 2 bedrooms and a second full bath. Bonus space above the two-car garage can be finished now or later, as your family's needs change. This 1,945 square foot home offers one-level living, three bedrooms, a 2-car garage, a covered front porch, and a covered rear patio. A highlight of the 4 bedroom 2-story model is the distinctive floor plan with an open family room and breakfast area adjoining the kitchen. The family room features a gas fireplace. A mud room is conveniently located near the entry to the 2-car garage. The second floor master suite has a luxurious bath and walk-in closet. This impressive 3,164 square foot model provides everything an active family needs. A two story foyer, flanked by a formal dining room and a private study leads to a spacious family room with plenty of natural light and a gas fireplace. Adjacent and open to the family room is a large kitchen with �eat in� island and a butlers pantry. A large laundry/mud room with service entrance and garage access keep daily chores under control. The first floor guest bedroom with access to a full bath completes the first floor. The second floor includes the luxurious master suite with private bath and his and her closets, a mini master with full bath and walk in closet and 2 gracious bedrooms served by another full bath. This model features a 3-car garage. The first floor of this charming 2,402 square foot home includes an open foyer with �hidden� staircase, unique family room with see-through fireplace and separate study/reading nook, formal dining room, powder room, custom eat-in kitchen, and laundry. The second floor offers a roomy master bedroom with large walk-in-closet and deluxe en-suite bath, plus 3 additional bedrooms, lots of closet space, and a second full bath. As with many of our Signature Collection designs, this plan offers plenty of opportunities to make modifications to meet your family's specific needs.